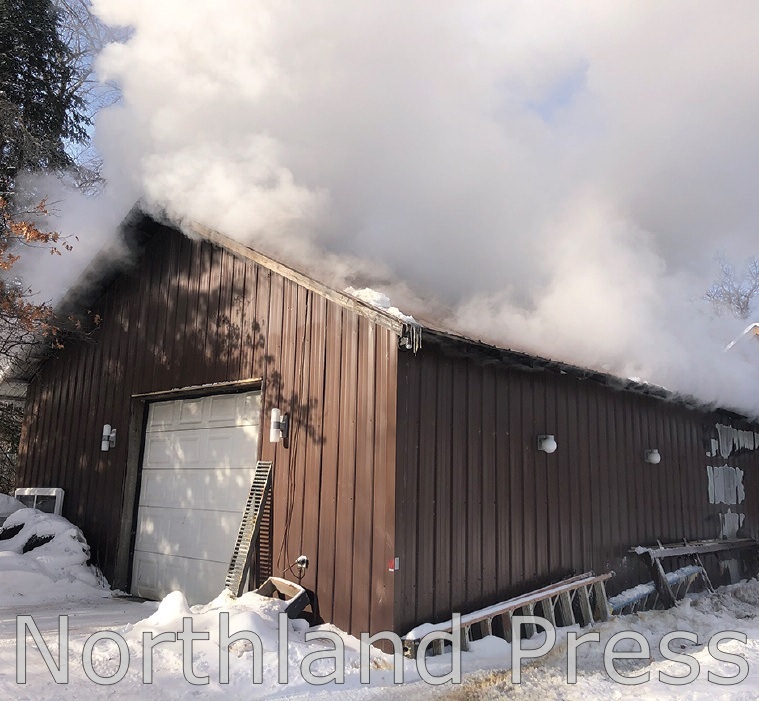 Crooked Lake Fire responded to a structure fire on the morning of Thursday, January 31st at at 5038 Lake Washburn Road (CR48) just north of Outing. Upon arriving, smoke was pouring out of the roof of the pole barn, which served as a garage and workshop for the homeowner. Information given to chief Nick Usherwood was that there was a large container of racing fuel inside the structure, and it was determined that the fire would be attacked from the exterior. Firefighters extinguished the blaze and no one was injured. Cause of the fire is under investigation by the Fire Marshal. Also responding was the Emily Fire Department, Fifty Lakes Fire & Rescue, Remer Ambulance and the Cass County Sheriff’s Department.